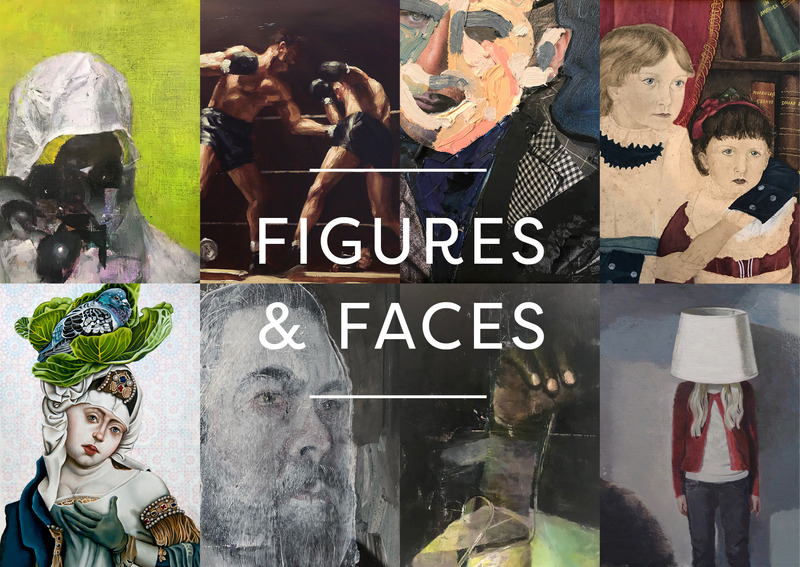 Figures and Faces is the third group figurative exhibition by Andelli Art, showcasing contemporary and Twentieth Century artists’ enduring fascination with the human form. The works in this exhibition illustrate a diverse range of styles, mediums and techniques, from the powerful, troubling beauty in the paintings of Justin Mortimer and Phil Hale, the sharply focussed realism of Daniel Sequeira, to the symbolic and devotional imagery of Leslie Glenn Dahmus. Traditional depictions of the human figure, and approaches to realistic representation are challenged, alongside more conventional portrayals in this thought-provoking show, with artists capturing the world as they experience it, some with radically experimental approaches to making portraits. Exhibiting artists include Malcolm Ashman, Michael Ayrton, Steve Burden, Daniel P Carter, Leslie Glenn Dahmus, Kathy Dalwood, Jean Dubuffet, Tracey Emin, Mark Entwisle, Evert Farhm, Michaela Gall, Jamie Gallagher, Phil Hale, John Theodore Harrison, Alistair Little, Victor Hume Moody, Justin Mortimer, Constance Parker, Daniel Sequeira, William Strang and Sharn Whitehead.